In 1970 I got a job as a secretary for State Farm Agent Bud McGuire in downtown Glendale. Little did I know that I would still be here 48 years later as the State Farm agent, owner of an office complex and an employer of four team members. In 1986 I became one of the first State Farm staff to be licensed by the state of Arizona. When I became an agent in 1993 at age 45 there weren’t many women agents. I remember thinking what a great opportunity for women to become agents as there is no pay inequality. We all are capable of making as much as we are willing to work hard for. I have several thousand clients who I have helped with their insurance needs for almost five decades. They are why I have always loved my job. Working for the No. 1 insurance company hasn’t hurt either. A year or two after becoming an agent, I joined the Glendale Chamber of Commerce and started networking. I realized if you don’t get out there and market yourself, you are not going to grow your business. I appreciate the support the chamber has provided me over the years. I am proud of being elected “Chairman” of the board in 2005. I continue to support the chamber and serve as a member of the Public Policy Committee and as treasurer of the Political Action Committee. 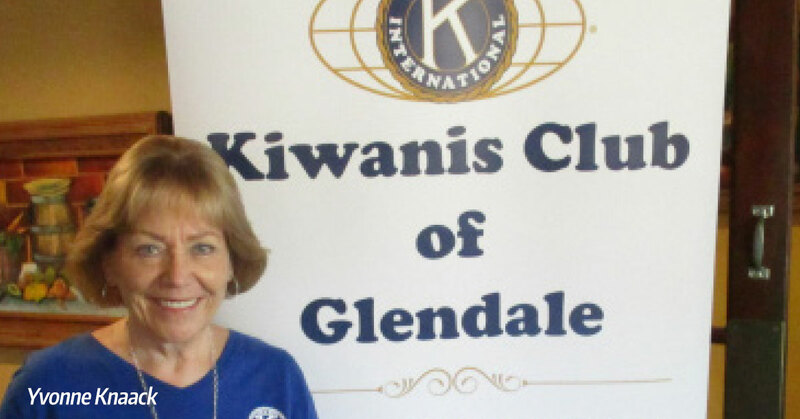 I have always been active in civic endeavors from my children’s schools, the Glendale YMCA Board of Managers, the Kiwanis Club of Glendale, the Glendale Salvation Army Advisory Board, the Heart for the City Board to the City of Glendale boards and commissions. I truly believe you get what you give. Helping my community has educated, enlightened and rewarded me personally and professionally. It seemed like a natural progression to become involved with the City of Glendale, and when I decided to run for councilmember, I thought of it as an extension of community service. It was a lot more than that! I worked hard for eight years to help my district (Barrel) and the entire city through some very tough economic times and had to make very hard decisions. I was honored to serve two years as vice mayor. To all the women who want to have successful careers I encourage you to be open to the possibilities, be constant learners, listen, learn to say “no,” have integrity, live by the Golden Rule and have a good handshake. Right Jessica?